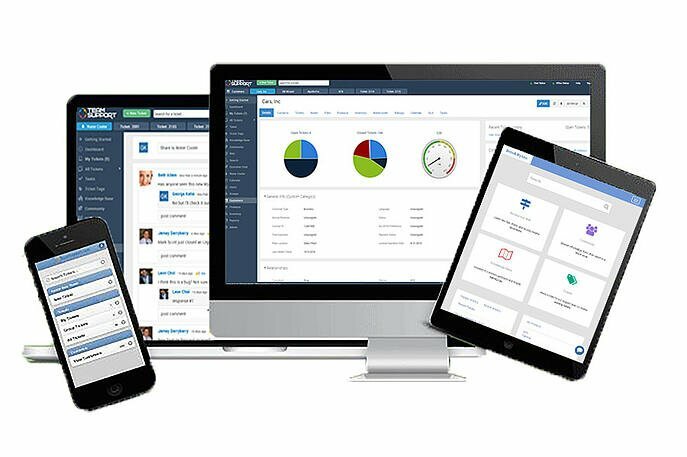 Customer Management Software that Focuses on the Customer. TeamSupport help desk software allows you to consolidate ALL interactions you have with your customers. In one location, easily see EVERY ticket, request, or issue that any person within a given client company has made to your support department, and run reports to help identify which customers are demanding the most from your support team. Instead of simply seeing your customers as a collection of tickets, you can track a great deal of additional information about them and consolidate all of their requests together. 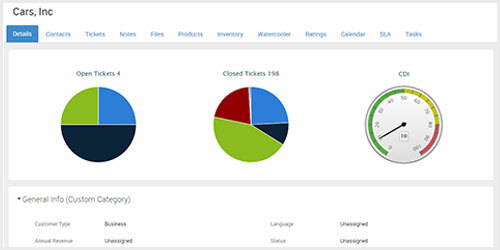 Activities organize non-ticket related information that the whole team can use to understand and build the Customer relationship. Easily keep track of every interaction with your customers - whether Support, Onboarding, or Sales & Marketing - all in one place! 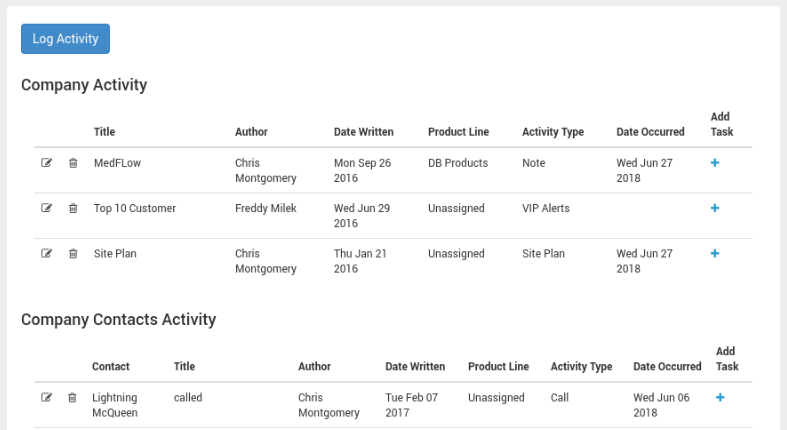 Activities let you log any activity including Notes, Emails, Meetings, Calls, or even create Custom Activity Types. One of the best features of our customer database software is the Customer Distress Index, or CDI™ for short. The CDI™ lets your customer service team monitor customer satisfaction and get a gauge on overall customer health to be more proactive. The CDI™ assesses when a customer might be getting frustrated, so your support team gets a heads up. The CDI™ assigns a number to every customer based on 5 custom variables like how many tickets they have, and the average ticket resolution time. Higher customer distress means lower customer health or an at-risk customer. Quickly and easily add notes to a customer record, so everyone in the organization has the same information. Customer Alerts are a special note that pops up when the associated customer (or one of their tickets) is opened. For example, you might want to make note of a large or very important customer, or alert your team about an existing/ongoing issue with a client, so that everyone in the company is aware. This feature is especially helpful for new employees who do not yet have the deep understanding of each individual customer. Customer Families allows you to relate a number of customers together in a parent/child methodology. 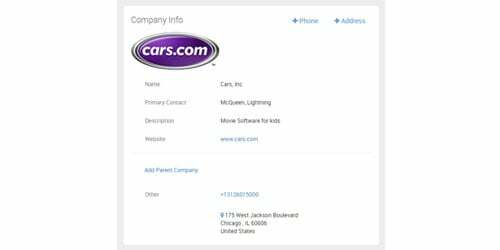 If your customers have multiple locations or divisions you can look at the parent company and access all of the tickets from the various companies connected to it quickly and easily. This also applies to the customer portal, so when a customer who is associated with a parent company logs in they can see all of the information for the various subsidiaries as well. 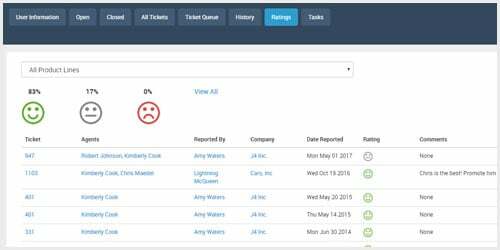 Powered by IBM Watson technology, TeamSupport offers real-time sentiment analysis within tickets so you can instantly gauge the tone of a customer response. 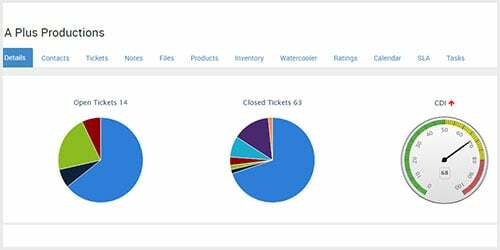 This automated technology helps your team to prioritize their ticket workflow and also creates proactive customer support opportunities. As a customer support provider, you have different agreements with different customers. 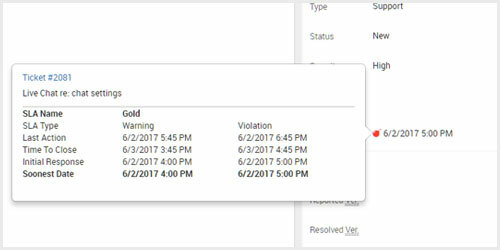 TeamSupport allows you to define service agreements, track support hours, and even block portal access if a service is expired. SLAs can be assigned at the customer, customer product, or product level and you can set different business hours according to your needs. 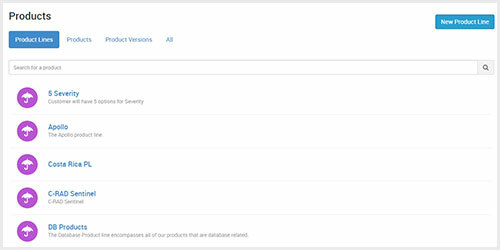 You can clone SLAs, pause SLAs, or attach service agreements to products so customer downloads on the portal are limited to the products with current service agreements. Have more information about your customers at your fingertips! Our customer management software automatically pulls data from publicly accessible data sources including your contact's photo and LinkedIn profile, and the company's logo and description. This is a great way to understand your customers even more, and your agents can better connect with customers by putting a face to the name and viewing company history. If you have multiple brands or distinct divisions, you can now organize your support activities to mirror those. You can associate product lines™ to customers, and see which brand the customer is linked with as well the specific products they are using. You can also customize your branding on communications with customers, so they get a consistent brand experience. "TeamSupport has fundamentally changed our client facing operation. We are able to track and maintain open issues/tasks and provide tremendous client support."